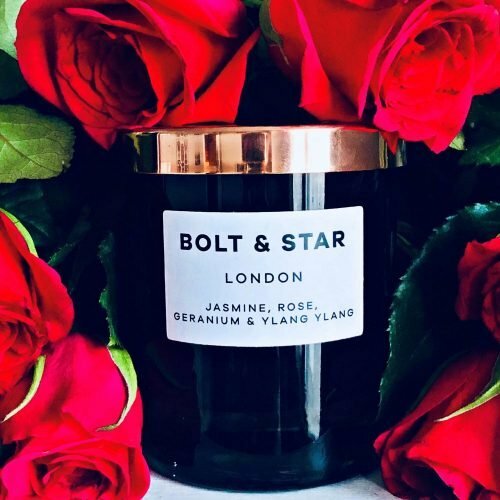 We’re a stickler for all things with a sprinkling of indie, vintage or quirky here at Muddy and we’re loving these repurposed goodies from Cambridge-based Upcycled Lighting Co. Owner Katie Sillis takes pre-loved antiques and one-off finds and transforms them into functional and funky lighting creations in her Cambs workshop. 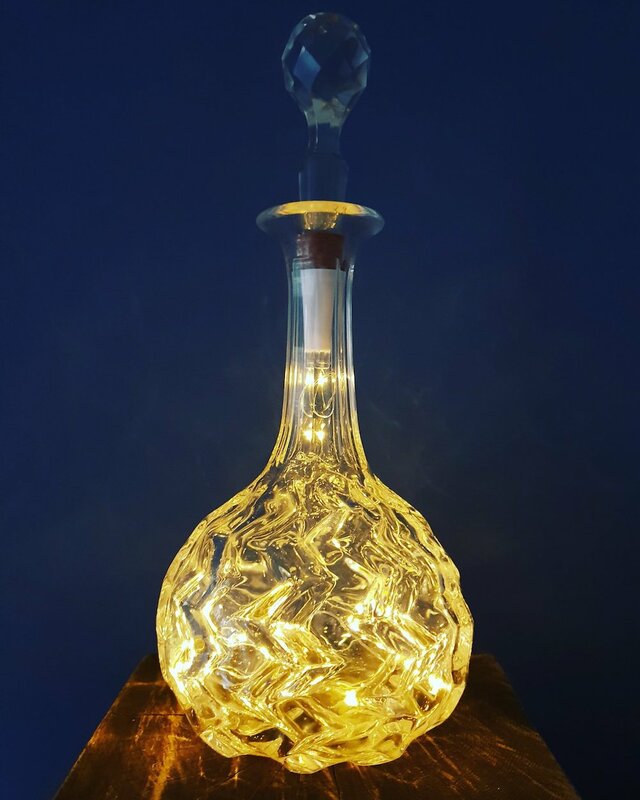 From tipple to table-lamp this unusually shaped waved glass piece is made from a 20th century decanter (who knew they weren’t just for drinking?) discovered in an antique barn just over the border in Suffolk and filled with fairy lights. 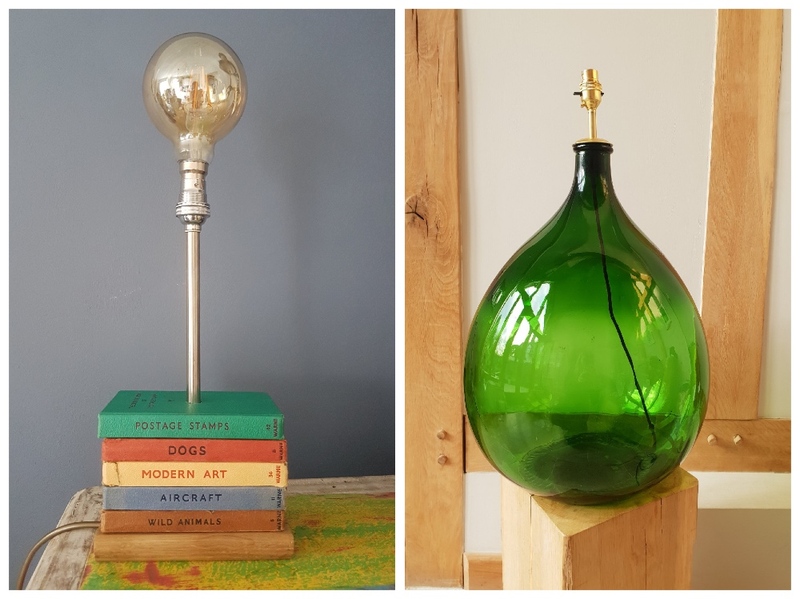 Katie also makes plug-in pieces like this awesome book stack lamp (you can even request certain books and she will source them) and this sleek bottle-green floor lamp; add a groovy, industrial Edison bulb and it’s a dead cert for adding a pop of colour and something a little different to your living room for 2019.